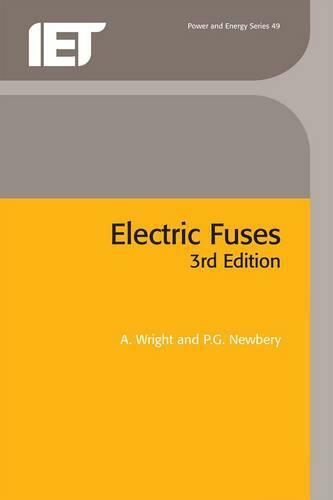 Wright and Newbery's classic guide to the world of electric fuses has been substantially revised and remains the comprehensive reference work on the subject. The third edition of the book includes further analysis of pre-arcing and arcing behaviour, the retrofitting of expulsion fuses with automatic sectionalising links, developments in Chip Fuses and Automotive Fuses, application information on benefits of fuses. IGBT protection and arc flash and power quality. It also provides an update on national and international standards. The book begins by describing the very first electric fuses and their applications, their later development, the introduction of standard specification and the spread of the use of fuses; and ends focusing on the updated national and international standards regarding fuses and the quality assurance and inspection methods used during manufacture to maintain the necessary high standards.